We are presenting BOHEMIA QUEEN - an exclusive brand of beauty and make-up cosmetics. These are Czech products made from the finest ingredients available on the market. BOHEMIA QUEEN offers top quality products for perfect lip make-up. BQ lipsticks are divided into two product lines - covering and moisturising. Everyone can choose from a wide range of colours. The lipstick packaging is very luxurious. It is a jewel that is a must-have for every handbag. Indulge in the luxury that a Bohemia Queen lipstick can give you. The nurturing Bohemia Queen lipstick stands out for its distinct colour pigments, excellent hydration and long-lasting effect. Its application on your lips is pleasant and accurate, and it adheres to the lips well without any smudging. Thanks to the distinct colour pigments, it has perfect coverage that meets your expectations. The lipstick protects your lips from negative external influences and UV radiation. It has antioxidant and rejuvenating effects. 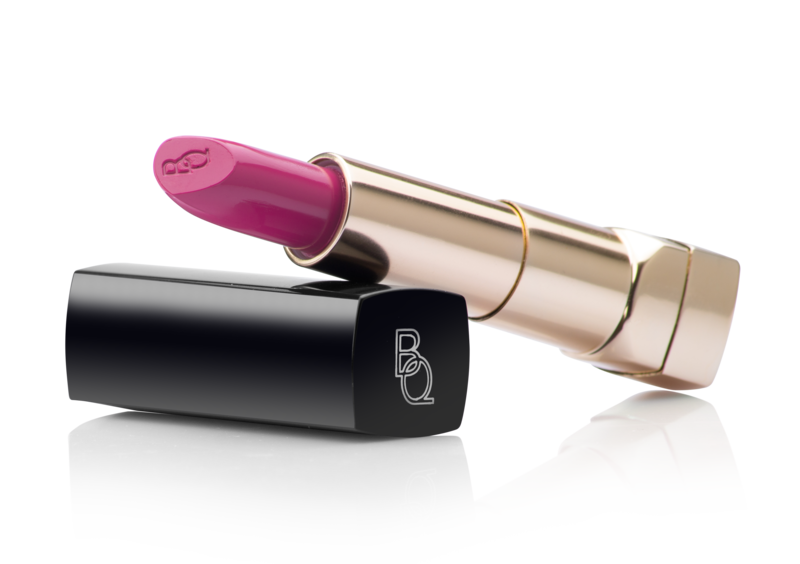 The BQ lipstick will make your lips radiant, full and vibrant. Its texture is enriched with an extract of royal jelly which is used to feed the queen bee throughout its life. Royal jelly contains nourishing proteins, minerals and mainly promotes cell activity. The moisturizing cream lipstick Bohemia Queen stands out for its remarkably light velvety texture, excellent hydration and natural appearance. Its application is pleasant and it adheres well. The lipstick moisturises and softens your lips in the long term. The lipstick protects your lips from negative external influences and UV radiation. It contains beautifying pigments. The BQ lipstick will make your lips radiant, full and vibrant. Its texture is enriched with a cucumber and lime extract which guarantees hydration, regeneration and helps rejuvenate your lips. This natural wax provides an excellent long-lasting effect, comfort, deep hydration and vibrant shine. It also protects your lips from negative external influences and UV radiation. Vitamin E, also called "panacea", has, among other things, antioxidant and rejuvenating effects. Royal jelly, so-called elixir of youth, is a highly nutritious substance that bees use to feed young bees. Queen bees even feed on this unique substance their entire life. It contains proteins, amino acids, carbohydrates, minerals, lipids and vitamins. It has strong regenerative effects and promotes cell activity. Refreshing extracts ensure hydration and help rejuvenate your lips.